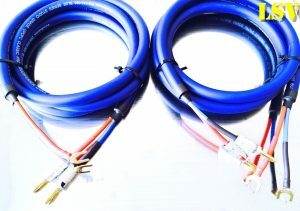 2 x 1m QED GENESIS Signature Silver Spiral Speaker cable Terminated- 8x (4mm) QED AIRLOC Metal Forte Banana Plugs of both ends. 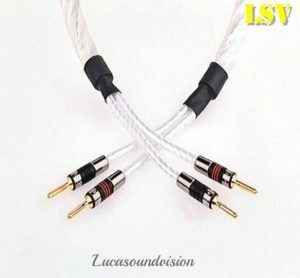 The Qed Genesis Signature Silver Spiral cable listed is a Pair length of Speakers. The Genesis Bi-Wire Link (Speaker Jumpers Cables) also available. 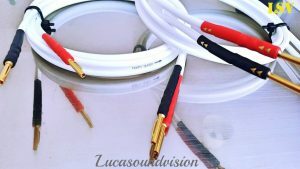 • QED GENESIS SIGNATURE SILVER SPIRAL Speaker Cable isn’t just another speaker cable, it is a high performance audio component! • QED Genesis Silver Spiral, QED’s flagship speaker cable, offers outstanding sonic performance regardless of price. 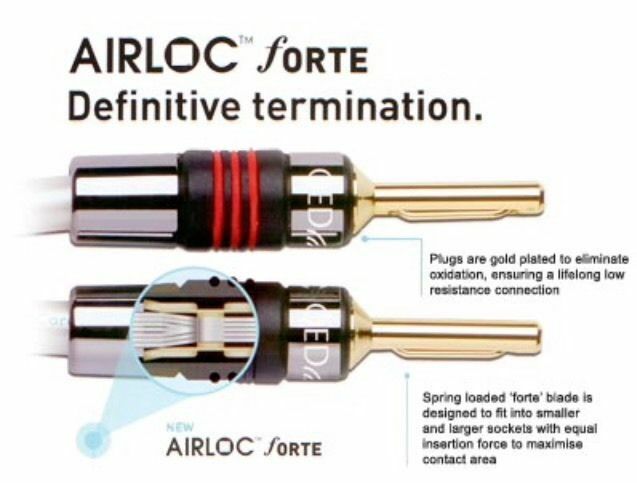 This award winning cable is the result of 40 years’ scientific research and development. • QED Genesis Silver Spiral speaker cable gives a very open and full sound with reference levels of performance and is a match for even the most esoteric audio systems. Designed with unique triple concentric spiral geometry, Genesis cable offers incredibly low resistance, capacitance and inductance. 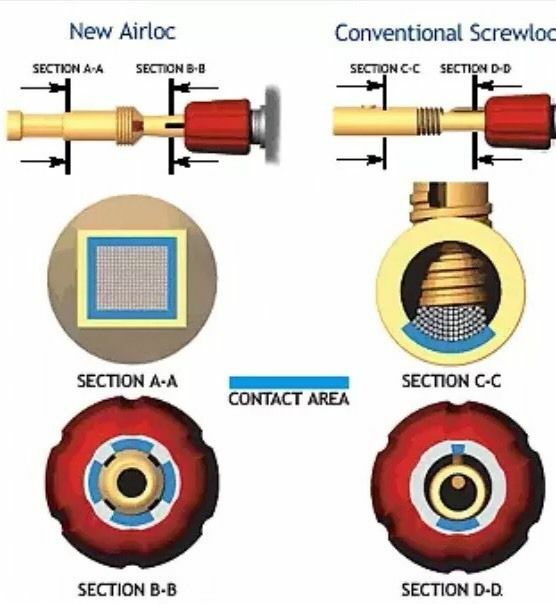 As a result, the cable has a very high level of performance with reference transparency and retrieval of detail. Nine bunches of silver plated 99.999% oxygen free copper conductors offer up a massive 5.5mm squared conductor cross-sectional area. This helps give Genesis Silver Spiral cable effortless dynamic reach and a powerful, sustained bass response. With both power and grace to spare, QED Genesis Silver Spiral is the ultimate loudspeaker cable.